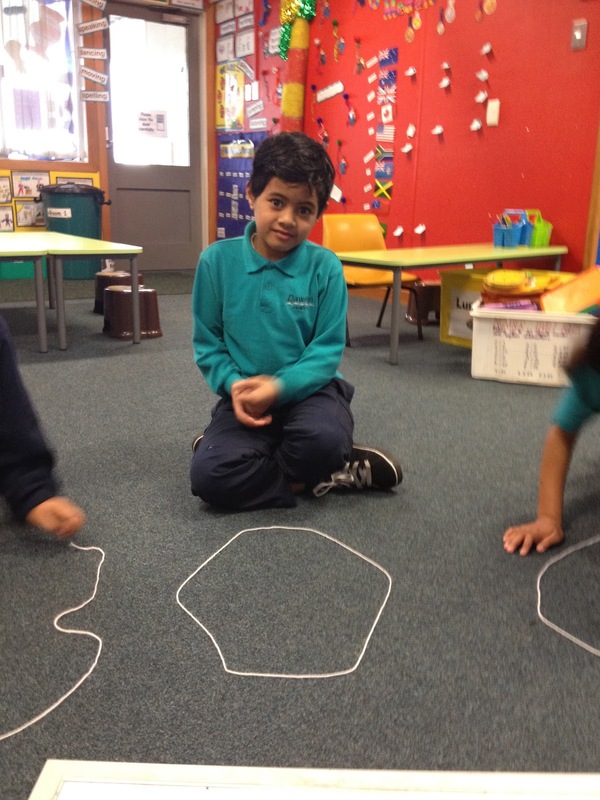 In maths we have been learning about the features of 2D shapes. We talked about the number of sides and points a shape has. 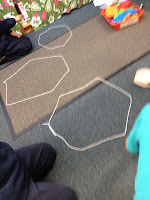 Can you name some of the shapes that we made? 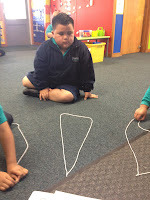 We also looked at the position and orientation of shapes. We made a school out of our maths equipment and hid a sticker under one of the shapes. 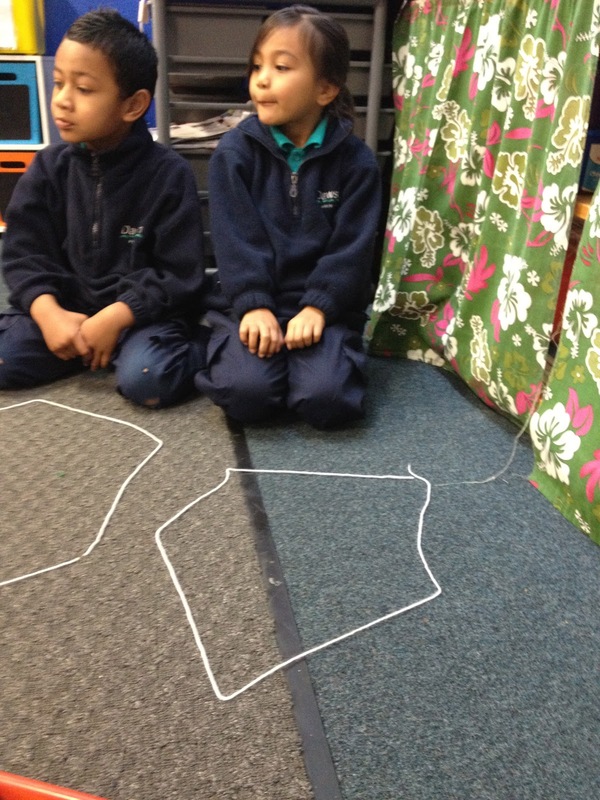 We used instructions such as "move 3 jumps" and "turn left" to help the other group find the sticker. 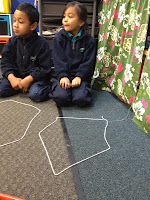 I can see a square and a triangle.